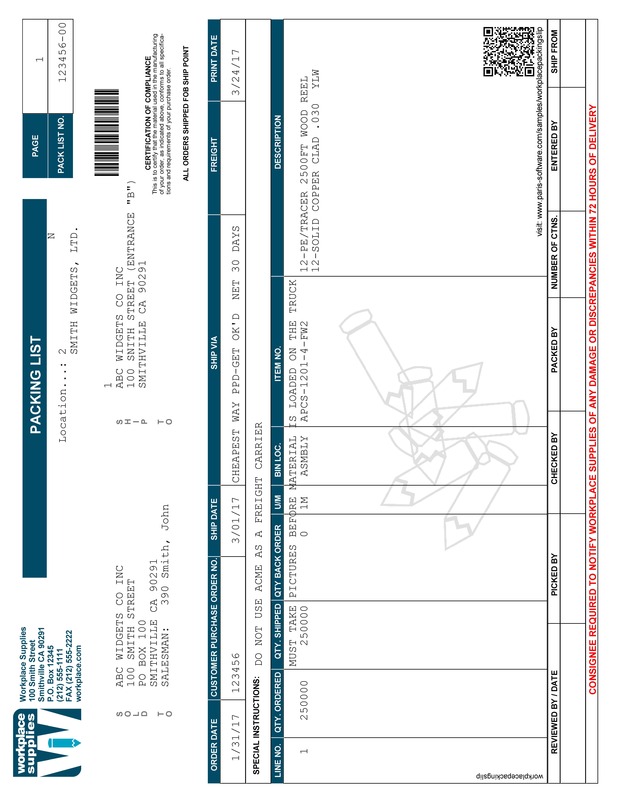 This sample shows how Paris can be used across all industries to print packing slip and other delivery documentation. Replace expensive and inefficient multi-part, continuous-feed packing slip forms by printing on plain paper. Reduce costs and automate business processes by producing office copies direct to PDF for electronic filing. Add barcodes and other mechanisms to help your customers do business with you. In this example, we are are printing multi-part packing slips which are shipped with your products. Print the customer copy on plain paper and print the office copy direct to PDF for electronic filing.